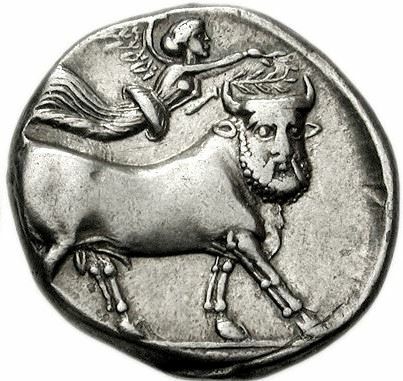 An ancient Greek silver coin denomination with a value of 2 drachms or 1/2 tetradrachm. It weighed around 8.6 grammes, and could feature some impressive artwork due to the relatively large flans. Reverse: Zeus seated left, leaning on scepter, holding eagle (goose)? ; crescent left, AΛEΞANΔPOY (ΔIP) ?